When you don’t get out to eat very often, there is nothing worse than experiencing buyers’ remorse at the dinner table. Ordering becomes a big deal. A few Saturday nights ago, Ben and I found ourselves seated at the bar at Bistro Bethem, drinks ordered, food yet to be determined. It was our first meal out in a long time — with the exception, of course, of the many lunches at 2Amy’s, our favorite post-zoo spot for wolfing down as much delicious food as possible before the two children bobbing on our laps explode — and we thought it wise to take our time. A few bad choices might ruin the evening. The pressure was on. 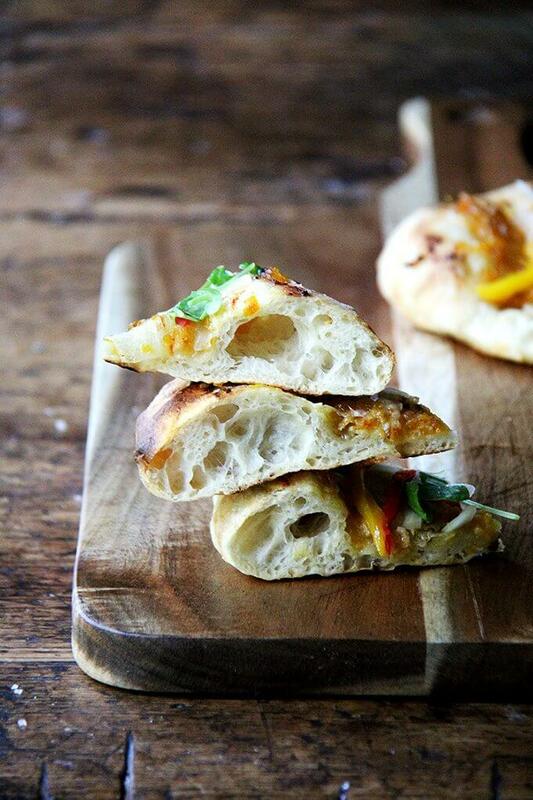 After placing our order for the pâté, a tomato salad, and a few wood-oven pizzas, our server delivered a basket of warm focaccia sprinkled with sea salt and a shallow dish filled with olive oil and balsamic vinegar. In an instant, all worries about the food — the evening — dissolved. 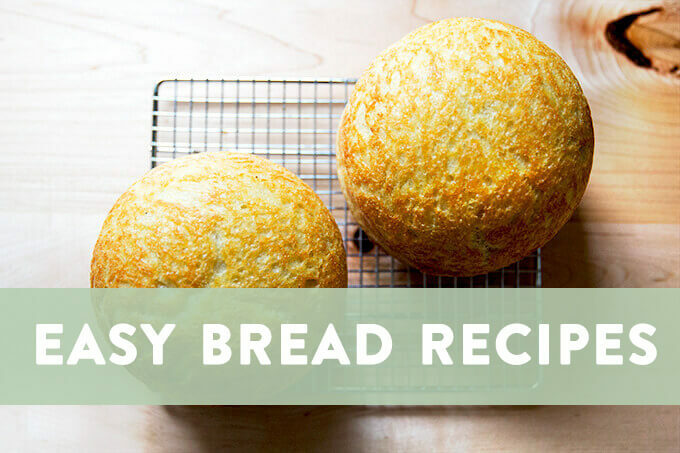 It’s amazing how far a little fresh bread goes to win my belly and heart over. But the rest of the food proved to be as wonderful as that bread basket, and one dish in particular had us taken: pickled okra. 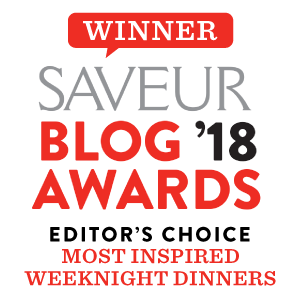 It was served with the pâté, and of all the delicious food we tasted that evening — including the bites of tomatoes, burrata and basil — the pickled okra is what we found ourselves having fork battles over, asking our server about, discussing on the car ride home. 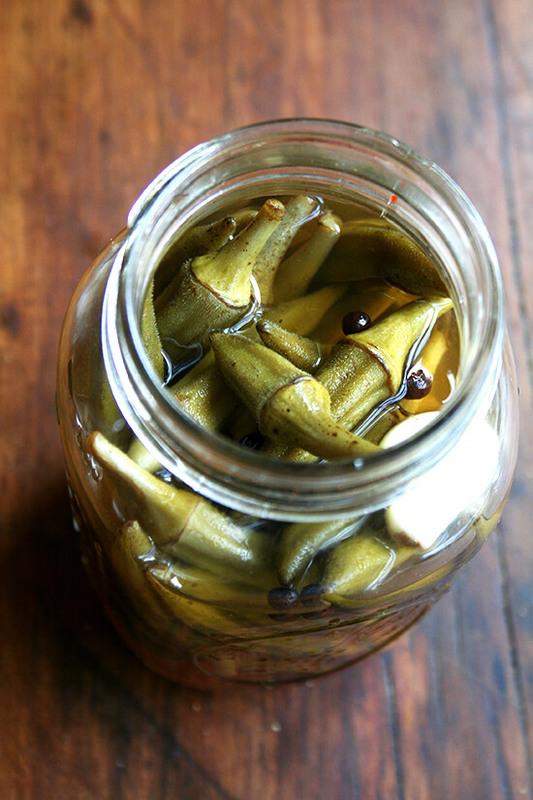 And it’s that pickled okra that reminds me why going out can be so much fun. 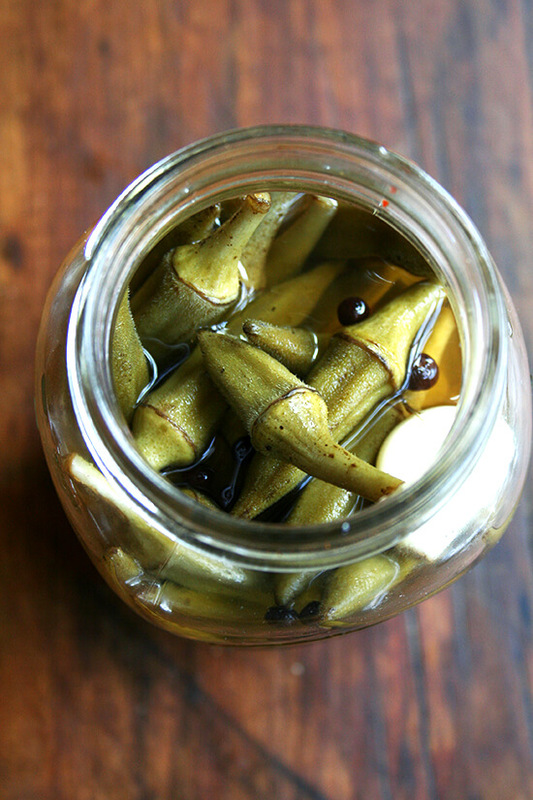 Okra, unbeknownst to me before this evening, pickles beautifully. This is a most welcomed discovery as I never know what to do with it when it arrives in my CSA three times a year. I’ve never gotten around to making gumbo, and deep-frying often feels like too much work. Inevitably I end up roasting it as I do most vegetables — on high heat with olive oil, salt and pepper — but from here on out, my okra will be pickled. It is delicious. 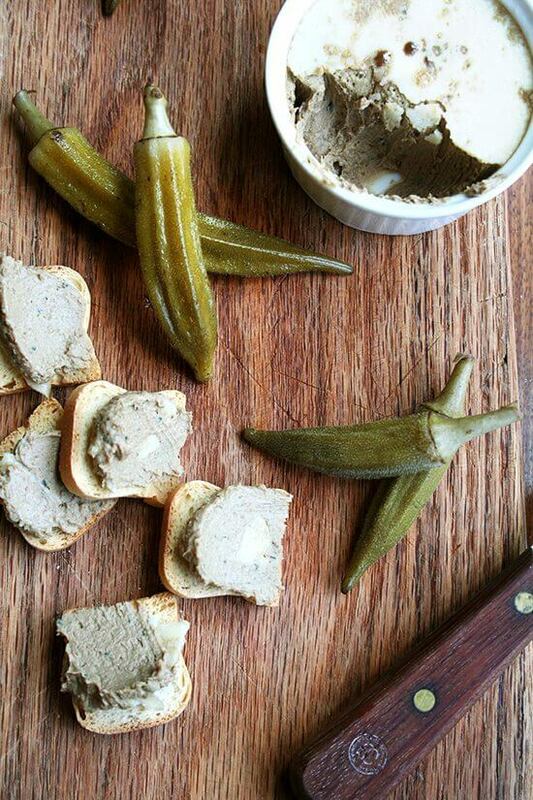 With pickled okra on hand, I thought it only appropriate to make some pâté. I used a recipe for “baker’s foie” from Chad Roberton’s Tartine Bread made with chicken livers, shallots, thyme, cognac and butter. 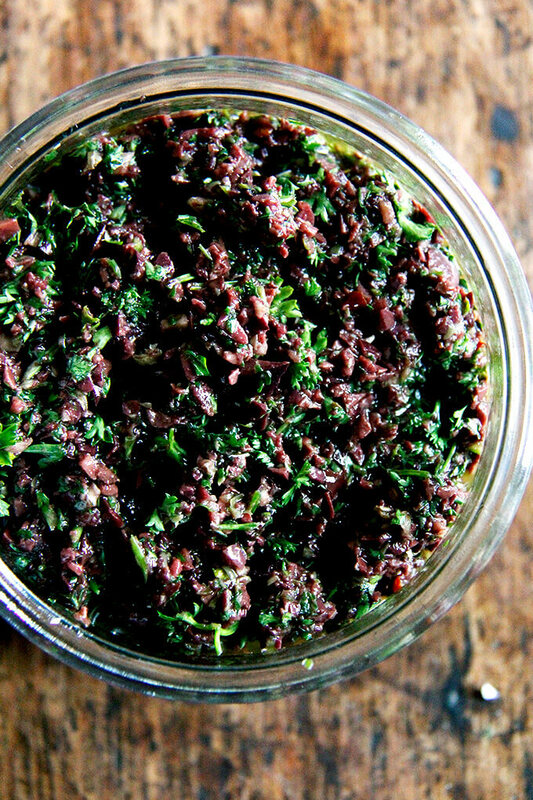 Robertson notes that he devised this “quick and delicious recipe” to satisfy his pâté cravings and that “it tastes as if you spent more time and resources than you actually did.” It’s the truth — this pâté is simple to prepare, and I can’t imagine one tasting much better, especially for the effort. The layer of cognac butter that gilds the top certainly doesn’t hurt. With the holiday season approaching at the rapid, this one might be a good one to give a spin. Note: I did not do the whole sterilization process with the ball jars or the proper canning processes, but by all means, do so. Epicurious gives detailed instructions. 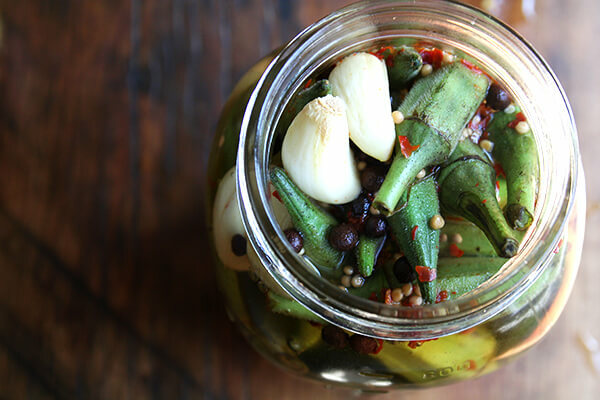 Tightly pack jars with okra, then put 1 garlic clove in each jar. Bring remaining ingredients to a boil in a 2-quart nonreactive saucepan, stirring until sugar and salt are dissolved. Divide pickling liquid evenly among jars. Rinse the chicken livers in cold water and remove any visible fat or connective tissue. Heat a heavy skillet over high heat and add enough olive oil to coat the bottom of the pan. When the oil begins to smoke, carefully add the livers and sear for about 30 seconds. Quickly turn the livers over, add the shallots, and sear for another 30 seconds. Add the thyme and cook for a few seconds until it is aromatic. Once the livers have cooled, add the remaining 4 tablespoons butter to the food processor and process to a thick purée. Add the salt and the remaining 1/4 cup cognac — add this a little at a time as you might not need all of it — and process again. Taste and add more salt if necessary. Pour the liver purée into ramekins or a suitably sized loaf or pâté pan. 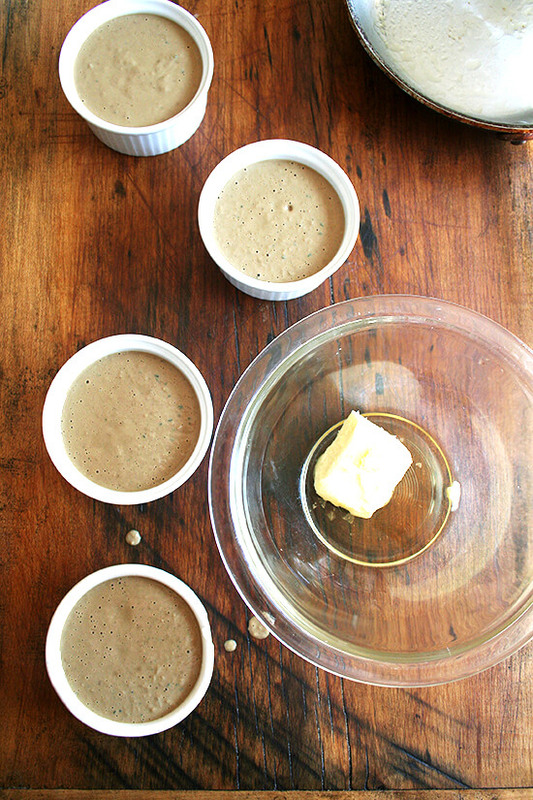 To make the cognac butter, place the butter in a small bowl. 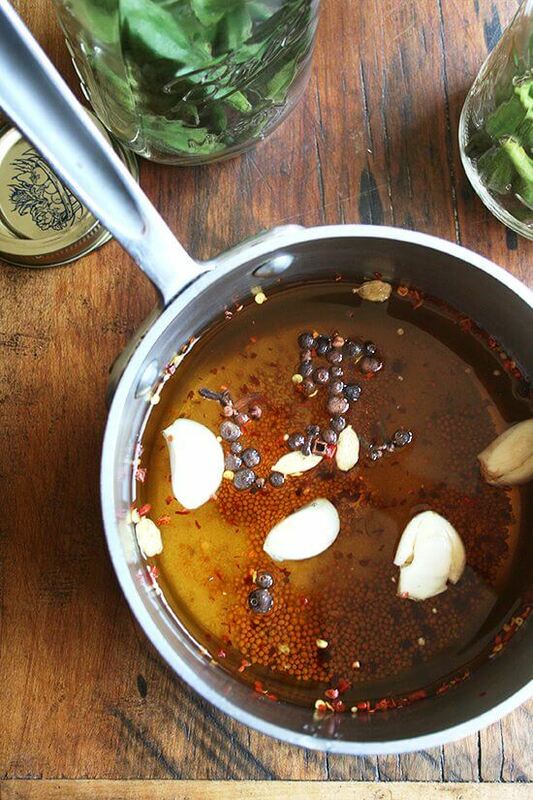 In a small saucepan, heat the cognac until it is hot to the touch. Add it to the butter along with the salt. 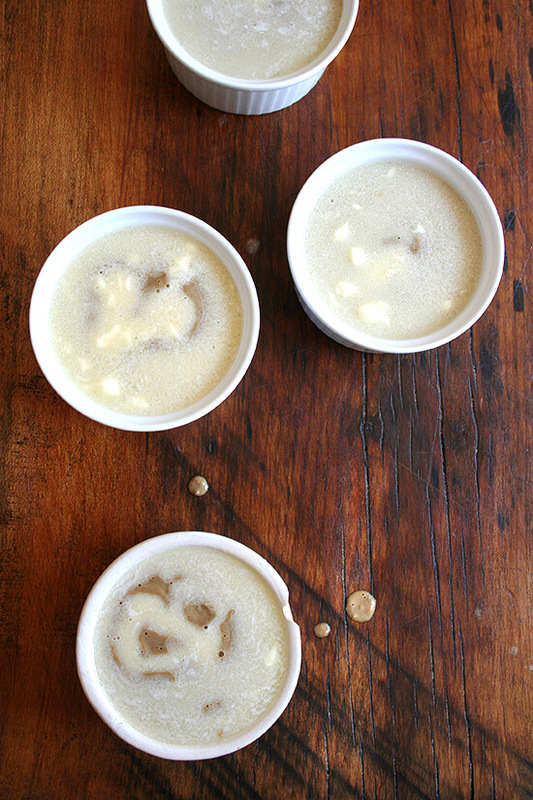 Stir the butter until it has a liquid consistency and then pour it evenly over the pâté. (Note: This is just a wee bit tricky. 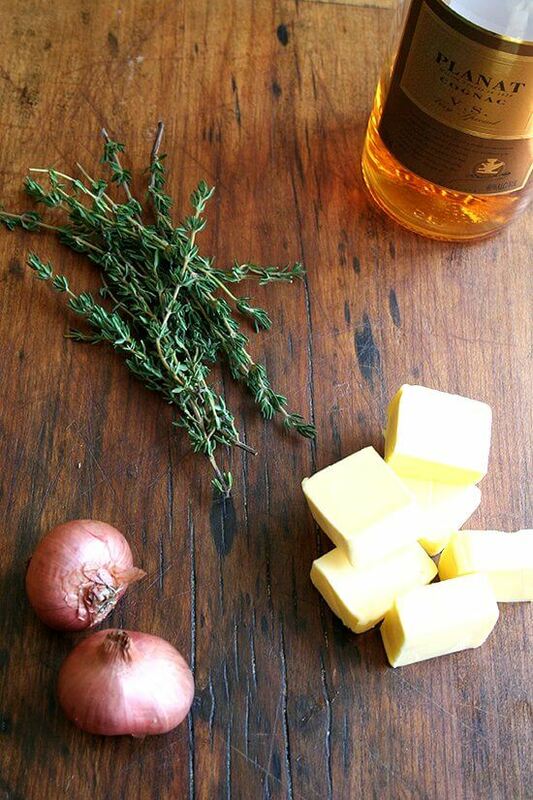 If the cognac isn’t hot enough and if the butter isn’t really at room temperature, it’s hard to incorporate the two.) Cover and refrigerate until the cognac butter has set. 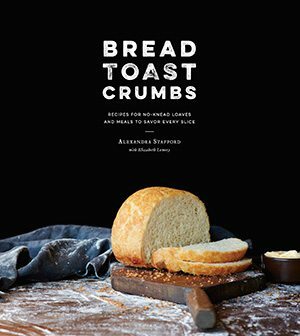 Serve cool or at room temperature with toast. 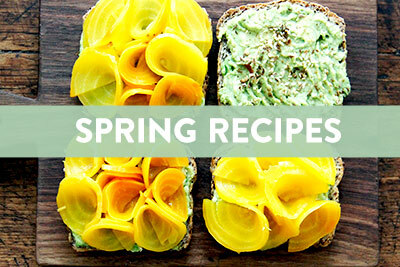 I’ve never made pâté, but am curious to! 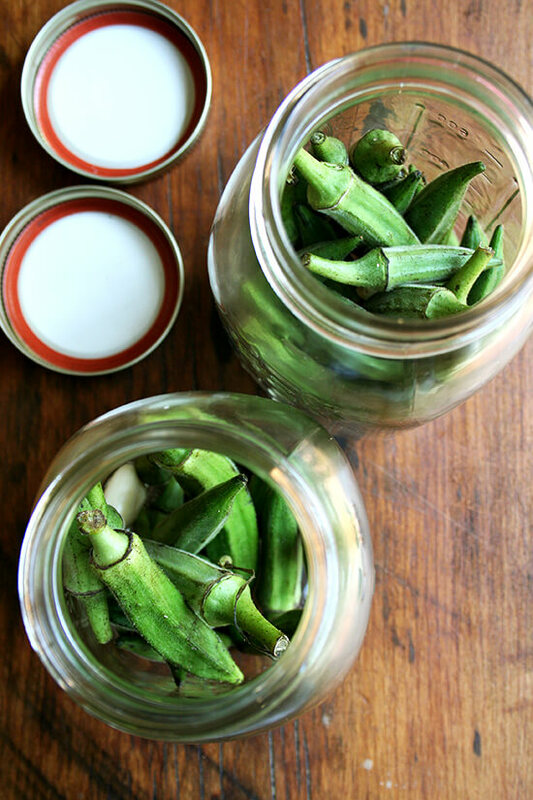 We don’t have so much okra around in Aus but I will search some out because I’m keen to try! 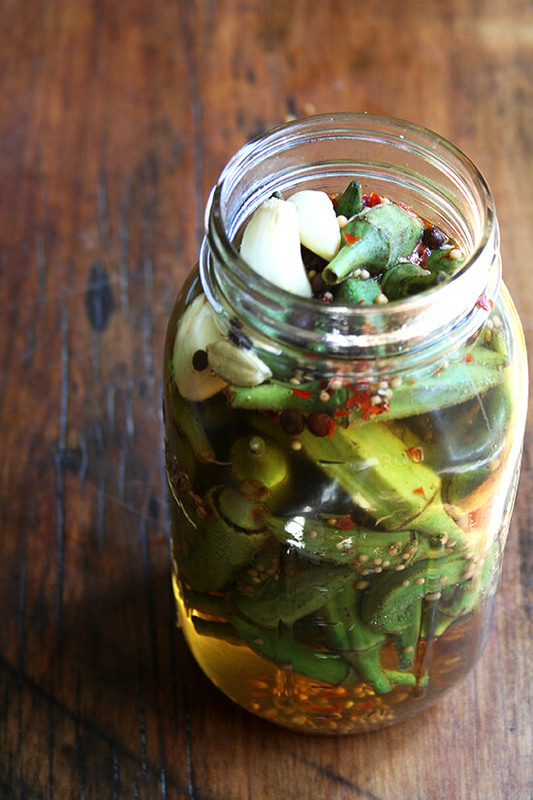 I recommend garnishing a bloody mary with your pickled okra. Stren — that is genius! Love it. Definitely doing this next weekend. Tha Baker’s foie looks really delicious. We don’t really get much okras around here and we are not quite used to have it at our kitchens but I think I have to try it more frecuently specially picked. I am always distressed when I hear someone say, “Okra’s just a Southern thing.” Not true! And certainly not true prepared this way. 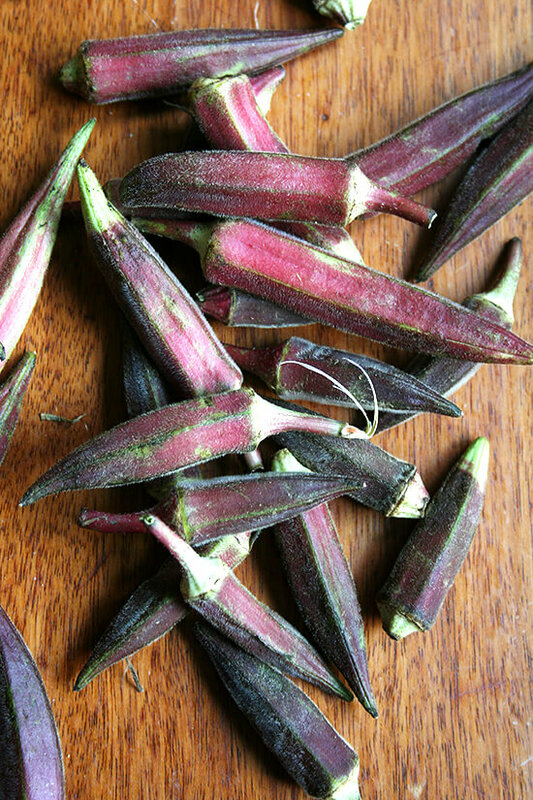 I think the okra would be wonderful with any meaty dish or charcuterie. This is really fun and different, and what a great idea for guilt-free (as far as animals go) pate. This looks so spectacular….in particular the foie…which while I’ve never made has always been on my food to create wish list. This might be just the motivation I’ve been needing. Love your blog!! Shut Up & Cook — Definitely try the foie — it is so easy and so good. Thanks always for your nice words. These look so delicious! 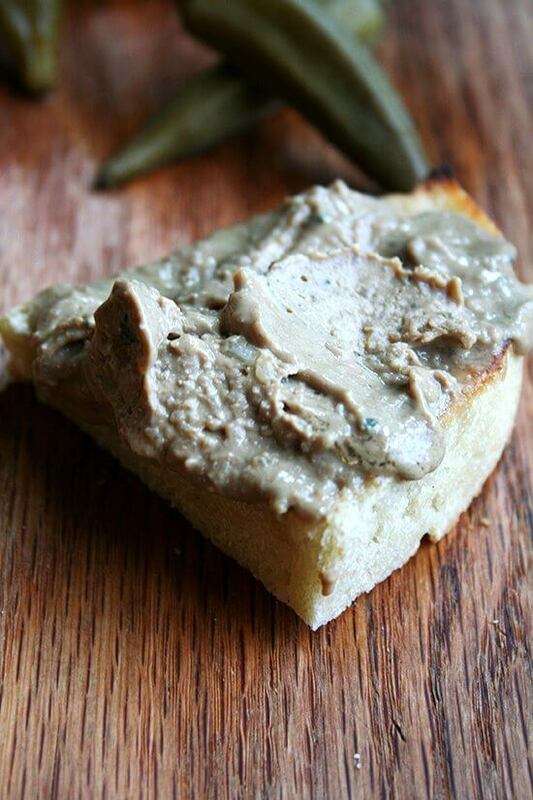 Both Okra & Foie, and the Foie sound so easy! Talk about wanting to reach through the screen to grab a bite! Both are going on my “to make” list once it’s a bit cooler here. 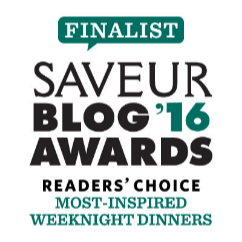 Christine, they are both pretty fantastic, but the foie is amazing! 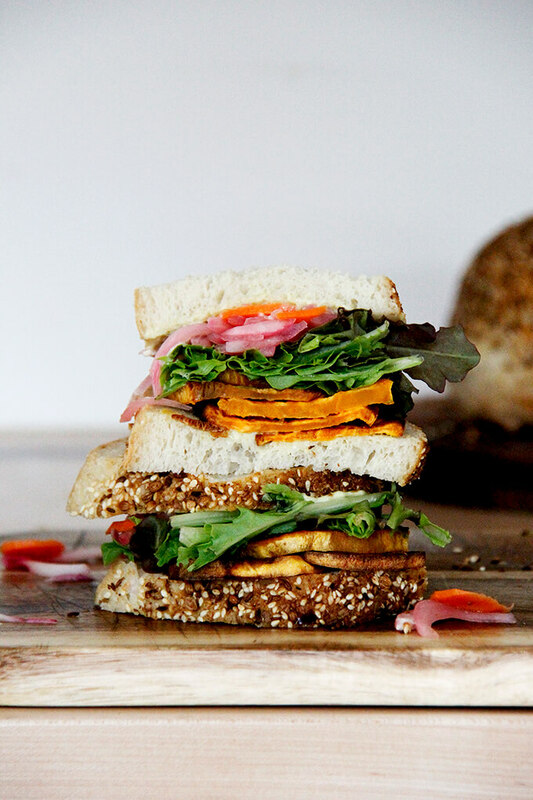 I have been slathering it on bread every day for lunch.